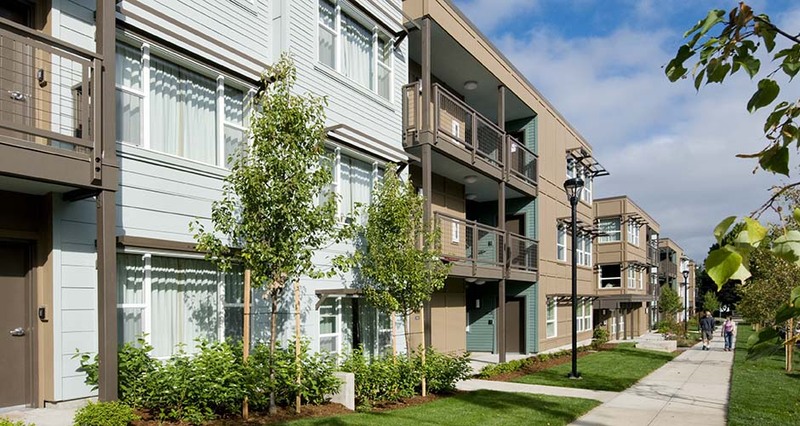 Mackenzie provided comprehensive A/E services for this 3-story, 26,000 SF student housing complex on the growing NE Portland campus of Concordia University. 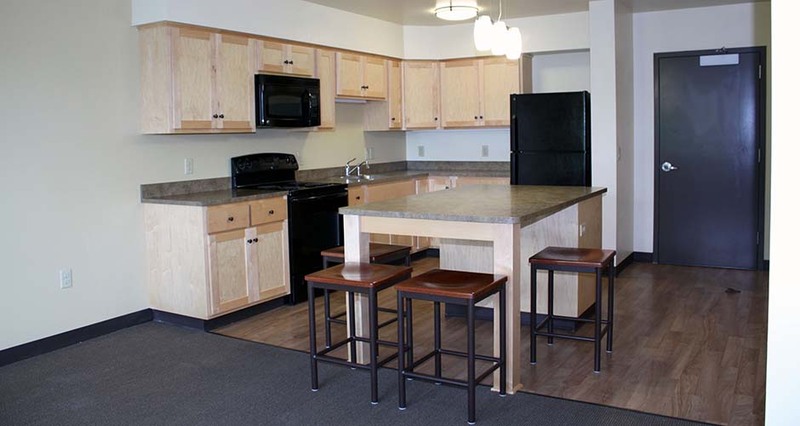 The program for the two-building complex includes a mix of studio, one-, two-, three-, and four-bedroom student apartments, a centralized onsite laundry facility, 32 secure bike storage spaces, and a community center. A new parking lot provides 42 onsite parking spots. Project delivery was via a design-bid-build process, with Fortis Construction selected as the general contractor. Mackenzie facilitated numerous neighborhood meetings to review the design direction, including treatment of massing and setbacks to address the concerns of the adjacent neighborhood. Articulation of the exterior breaks up the mass and length of the wood-framed building. Sunshade devices on the exterior diffuse sunlight and provide further visual breaks in the façade. As with the nearby stadium project, the neighborhood was most concerned with increased parking demand. To avoid project opposition and maintain the expedited schedule with project completion in time for the start of the 2009 academic year, Mackenzie created a "Good Neighbor Agreement" between the neighborhood and the University, outlining an annual parking report, a required annual presentation of report findings, and formation of a joint committee to work specifically on parking issues.